While many people associate iPhones and iPods with apps, music, and movies, they're also a great way to listen to audio books. Whether you're out for a walk, at the gym, on a plane, or in the car, you can bring dozens of audio books with you on your iPod or iPhone. Even better, lots of sites that offer audio books have significant libraries of totally free audio books for you to download. 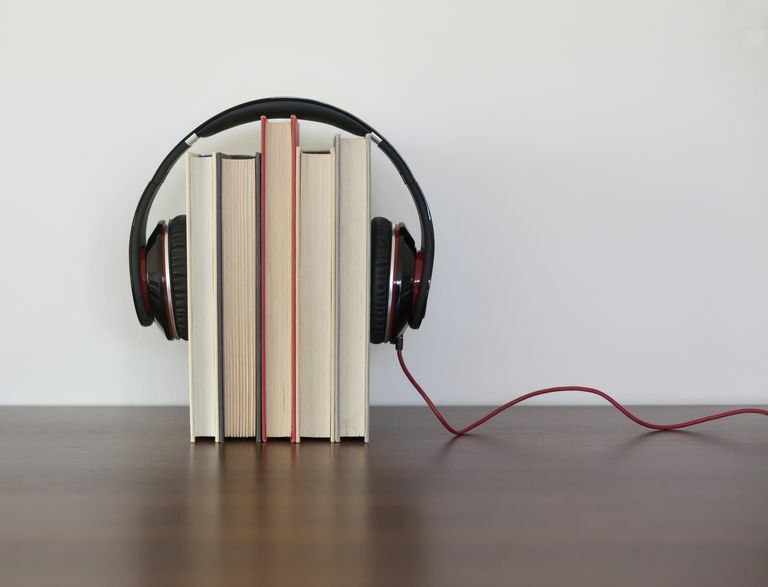 If you're looking for some new books to listen to, check out these 10 websites that offer free, downloadable audiobooks for your enjoyment. Must enroll in trial before accessing the catalog. All You Can Books is a subscription service that offers audiobooks for a monthly fee – with a twist. It offers a 30-day free subscription period (after that ends, you'll pay $19.99/month) during which you can download unlimited books, free. It's hard to know what kind of selection the site has – you can can't browse its library of over 40,000 titles without subscribing – but since the first month is free, the risk seems low. Make sure to cancel your subscription before the first 30 days are up and you'll have a ton of free books. Not much contemporary, quality content. Archive.org is a gigantic collection of all kinds of free media. From software to ebooks to video and images and beyond, it's likely the largest collection of free media on the Internet. Among that content is over 15,000 free audiobooks. All content on Archive.org is totally free, but it also tends to be either public domain or content released by self-publishing authors. As a result, don't expect to find the biggest names or the latest hits, but you will find a nearly inexhaustible supply of great listening. and other top shows, and provides free audio books through those ads. Be alert when listening to those podcasts to get free audio book offers. Audible has a free iPhone app (Download at the App Store) that provides access to your Audible library, too. Several pricing plans, some of which are expensive. A spin-off from the subscription-based music store eMusic, eStories is the new version of that site's audiobook download business. Literature fans can choose from plans that offer 1, 2, or 5 audiobook downloads per month. Plans also offer rollover of unused downloads and support for playback on multiple devices. Subscriptions run from $11.99-$49.99/month, with discounts applied for full-year purchases. The audio book selection is robust and includes the latest big-name titles and authors as well as less-well-known works. Formerly known as eMusic Audiobooks. MP3 downloads without DRM encumbrances. This volunteer-powered site offers public domain books in audio format read by people from all over the world (and, as a result, offers books in many languages). Audio books are available as 64 kbps or 128 kbps MP3s. Since these are public domain-only books, you won't find the latest titles here. But, if you're looking for a wide selection of classic titles, especially if you're interested in hearing them in a wide variety of languages, LibriVox is a good bet. Focus on education, including bite-sized chunks of larger pieces. appears as 12 separate downloads for easy assignment and listening. Even better, each selection comes with reading strategies, transcripts, and more that can be used in class or as part of homework assignments. Not a major market player. Another site that offers public domain audio books (meaning books whose authors have been dead for, in most cases, at least 75 years). Most of its over 7,000 titles are drawn from Project Gutenberg and LibriVox. The audio books here are completely free and can be downloaded either as a podcast or as an MP3. Titles are offered in multiple languages, including English, Spanish, French, German, Japanese, and more. Formerly known as Books Should Be Free. A venerable source of classic and public-domain ebooks. Hit-or-miss whether an audiobook associates with an ebook. Project Gutenberg is the most prominent provider of free, public domain ebooks on the web. It also offers audiobook versions of some of its titles. You won't find the latest books by the biggest authors here, but if you're after the classics, or quirky obscurities, it's a great resource for truly free books. Download the books in MP3, M4B audiobook, Speex, or Ogg Vorbis formats. Can discover some interesting stuff here. Crowdpricing model penalizes readers of successful writers. Lots of self-published rubbish to wade through to find the gems. Scribl offers audiobooks, podcasts, and ebooks using what it calls a "crowdpricing" system. This means that works that are more highly rated by its users cost more, while lower-rated titles cost less, with many offered for free. Another nice feature of the service is that all audiobooks come with an ebook version of the title for free. For writers, Scribl also a self-publishing platform. That means you're more likely to find up-and-coming indie authors here than big names. Still, there are tons of titles across many genres, so you're likely to find something that interests you. ThoughtAudio is another source of free audiobooks using public domain texts. You'll find dozens of free MP3s, with longer books often broken up into multiple files. ThoughtAudio offers a nice bonus: PDFs of the text being read. Since the works it offers are a pubic domain, it can provide these books for free, doubling the bang for your non-existent buck at the site.